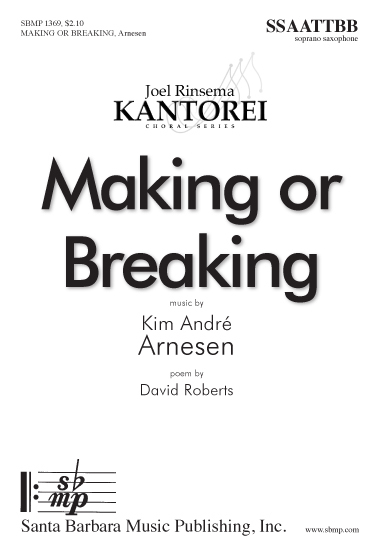 Making or Breaking, Kim André Arnesen | Santa Barbara Music Publishing, Inc. This highly creative piece has a soprano saxophone as its jazzy star. The singers provide an eight-part accompaniment while delivering the profound poem by David Roberts. This provides a great opportunity for eight or eighty singers and is bound to be a fascinating addition to a concert.